BERLIN - The Town Council voted by roll call 3-3 down party lines Tuesday in a move that doesn't send the proposed schools and general government budgets to referendum. Democrats were in favor of sending the budget to referendum, Republicans where against it and Republican Mayor Mark Kaczynski was absent from the vote. The proposed $43.8 million schools budget and $45.4 general government budget, represent a 5 percent tax rate increase from 31.61 to 33.28 mills. For a house valued at $250,000, that’s a $292 increase in annual property tax. The split vote means the council will meet tonight, as it needs to make a decision to reject the budget, accept it and send it to referendum or reduce it and send it to referendum, by April 5, per town charter. Rejecting it will require a joint meeting with the Town Council and Board of Finance, who had built the budget after over a week of meetings going through it before sending it to the public hearing. Fellow Democrats JoAnn Angelico-Stetson said the council should trust the board of finance experts who made the budget, and Karen Pagliaro said it should be sent directly to the voters to decide how the budgets should ultimately go. Deputy Mayor Brendan Luddy, a republican who ran the meeting in Kaczynski’s absence, said the proposed tax rate increase is too high, considering surrounding towns, and wanted another day to discuss the budgets. “...we live in a time where we can’t always get everything we want,” he said, adding previous years had spent a lot of money on various projects. “I can’t do this for the people that voted for me,” said Republican council member Amy Maier Daniele when casting her vote against sending the budgets. Republican councilor Alex Giannone said the budget was going to referendum anyway and it would be judicious to spend another day talking about the budgets. Kaczynski had said last week he thought the proposed tax increase was too high, and postponing or only partially funding projects should be considered. The budgets were built with nearly a one-mill shortfall in state aid, funding an underfunded pension plan, increasing debt payments, making up for a lack of capital project funding in previous years, and funding part time positions at the library, social services, senior citizens, and Parks and Rec. department, said finance board Vice Chair Gerry Paradis when presenting the budget to the council. Cuts to the school board’s proposal were also made, he later added. "Our aim was to keep taxes as low as possible while maintaining essential services, and to begin to catch up on capital expenditures,” said Paradis. “We don’t want to have to be in the position of reacting to capital equipment failures." During the audience of citizens that took place before the council vote, four people spoke, with three of them in favor of the budgets, and Republican Town Committee Chair Anne Reilly the only one against it. “It’s time to give up the feeling that the town and the Board of Ed are separate,” she said, advocating for consolidation of IT, payroll and finance departments, and a lesser tax rate to attract residents and businesses. "(The finance board) worked with the many departments, and although if passed, (the budgets) will bring an increase in taxes, we cannot allow our community to keep falling behind in it's many needs," said Janice Zagorski. She added not sending the budgets to referendum would be a slap in the face the finance board for the work they did. 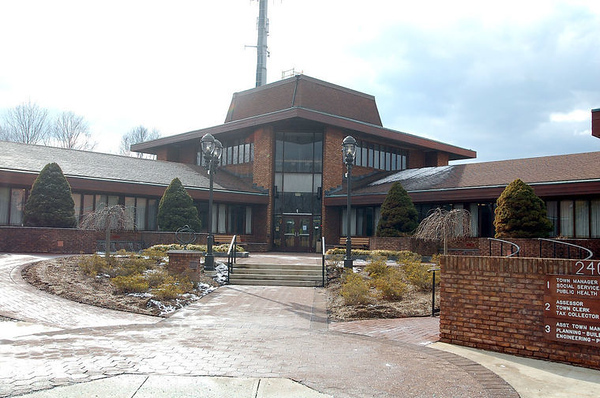 The meeting Wednesday will take place at 7:30 p.m. tonight in Town Council Chambers of Town Hall, 240 Kensington Rd. The referendum takes place on April 24 at all regular polling places. This is the first year the school and general government budgets are voted on separately, as is the board of finance after it was brought back in 2016 charter changes. Charles Paullin can be reachedd at 860-801-5074 or cpaullin@centralctcommunications.com. Posted in New Britain Herald, Berlin on Wednesday, 4 April 2018 00:00. Updated: Wednesday, 4 April 2018 16:15.